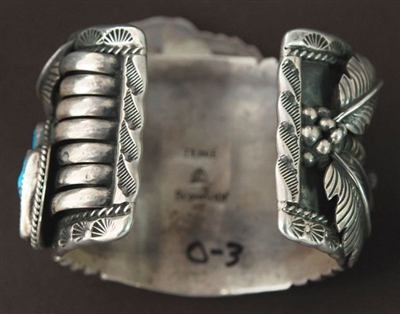 This traditional 1970's bracelet was hand wrought by Orville Tsinnie, from Shiprock, New Mexico. 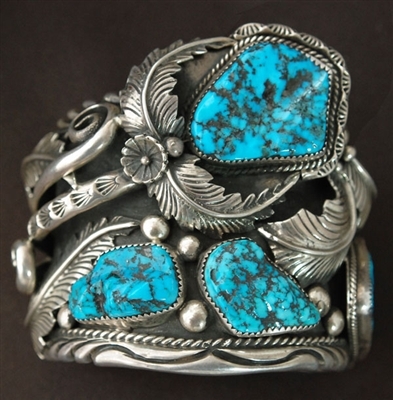 Orville is a master silversmith and has won many awards for his outstanding silver and stone designs. 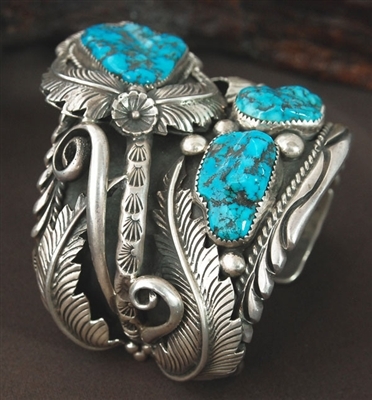 Over the past 30 years Orville has used our Natural Morenci Turquoise in many of his award winning pieces. 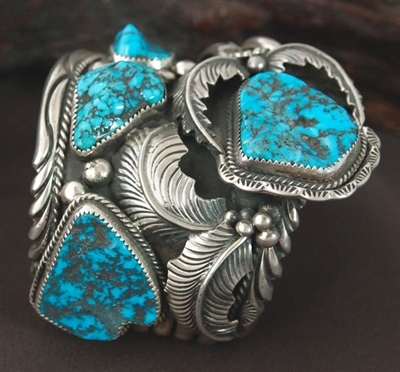 This bracelet is just one of those early pieces by Orville that features 4 beautiful, natural Morenci turquoise nugget cut stones. 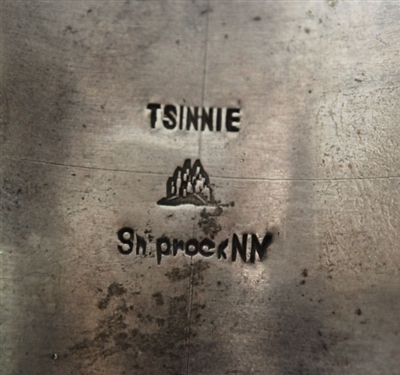 He is known for using heavy-gauge silver and top grade materials in his designs. Each and every part of this beautiful bracelet Orville hand crafted. 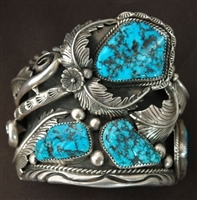 The bracelet measures 2 3/4" wide tapering down to 1 5/8" at the bottom. It measures 5 7/8" inside with a 1" gap. Hallmarked. Weight is 207 grams.